If you want your garden to reflect the vibrant, Mediterranean charm of Italy, flower choice looms large. Thousands of plants bloom between Palermo and Parma, but planting native Italian flora is not enough; you'll want to select the iconic floral presentations that seem to shout "Viva Italia!" Water-wise is not a garden trend in Italy; it's the state of the state. 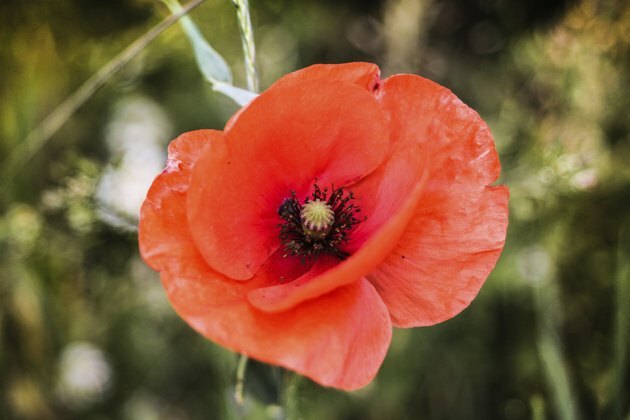 A Mediterranean climate offers hot, low-rain summers and the native plants adapt, including the Tuscan poppy (Papaver rhoeas). 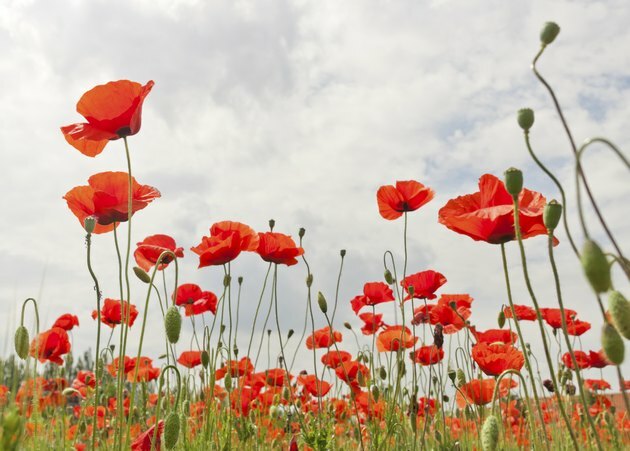 This annual wildflower turns the fields of Tuscany a stunning blood-red in late spring. 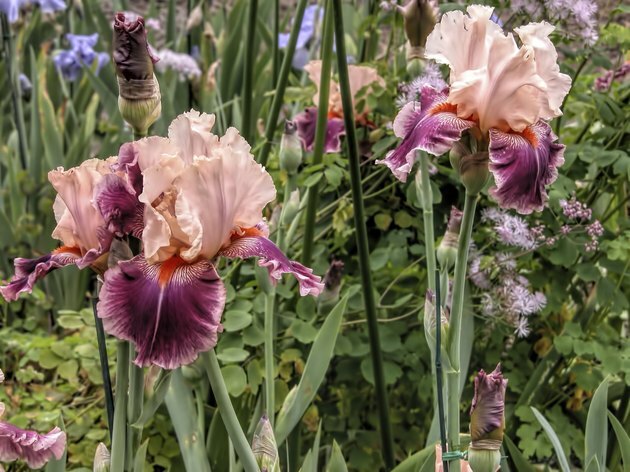 The gorgeous, papery petals sit atop 3-foot stalks and self-seed shamelessly, defiantly self-sufficient when planted in full sun and well-drained soil. It's the combination of dark foliage and shout-out blossoms that makes Italian flora utterly unforgettable. Think of the vivid blue Florentine iris (Iris germanica) that magically appears across the rolling hills and stone walls of central Italy in April. This rhizome-rooted perennial needs minimal care once it is established in U.S. Department of Agriculture plant hardiness zones 4 though 10. Choose color by cultivar selection. It is not possible to imagine a piazza in Rome without the sensuous waves of magenta or violet bougainvillea blossoms (Bougainvillea spp., zones 9 - 11) over the windows. The vine rises to 40 feet to frame old stone doorways or spill flowers over balconies. 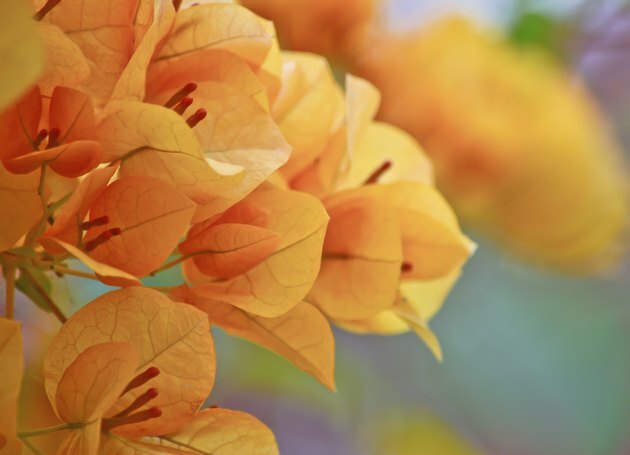 Bougainvillea grows fast if planted in full sun and well-drained soil. Water regularly during summer but let the soil dry out thoroughly between drinks. According to Italian legend, spouses never quarrel if lavender grows near their home. 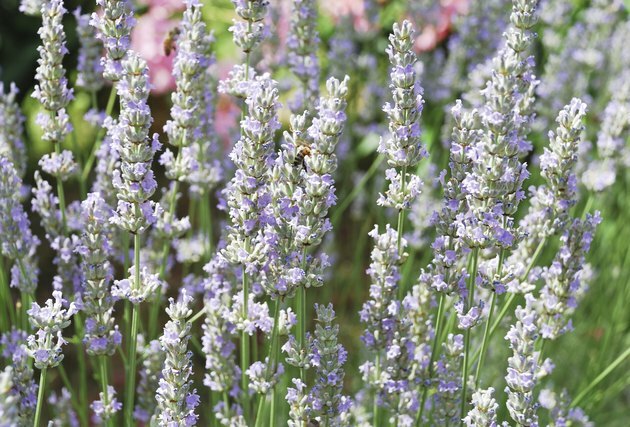 Happy families must abound in the nation, then, since Italian lavender (Lavandula stoechas, zones 8 - 10) fills the open fields with graceful wands of silver-green leaves and rich purple blossoms. Plant Italian lavender (also called Spanish lavender) in full sun and well-drained soil to add form and heady fragrance to your garden. Among the herbs that made Italian cuisine famous are rosemary (Rosmarinus officinalis, zones 8 - 11) and thyme (Thymus vulgaris, zones 5 - 9). In Italy, they are found in the herb garden but also grow wild as evergreen perennials, their summer blossoms perfuming the dry slopes. 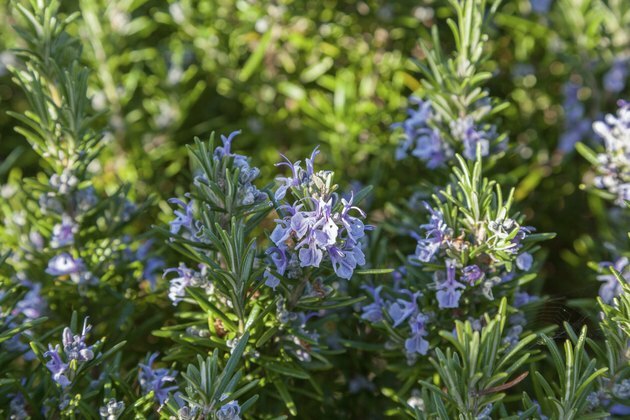 For 6-foot-tall rosemary with sky-blue flowers, try the rosemary cultivar "Tuscan Blue." Thyme rises to about a foot tall, and its blossoms arrive in soft, lilac hues. Lipstick-red flowers smile down at you from every balcony as you wend your way through narrow village streets in Italy. 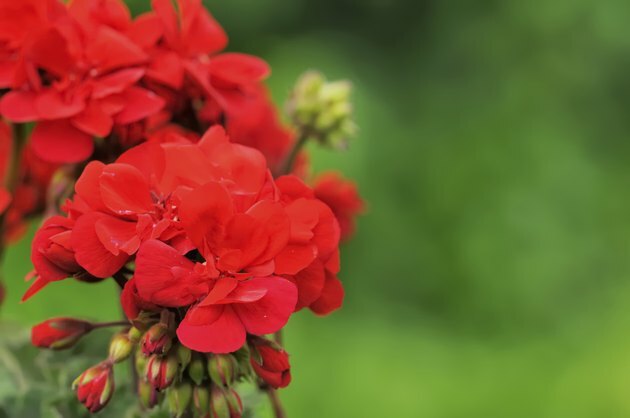 These are humble garden geraniums (Pelargonium x hortorum, zones 9 - 10) that, by virtue of their brilliant color and tough-as-nails temperament, have become a quintessential Italian flower. They grow without fuss and flower all summer long. Plant yours in unglazed terra cotta pots for that European flair.